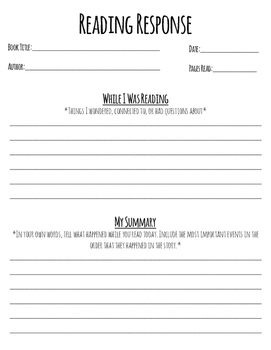 This reading response template is perfect for helping students monitor their reading comprehension! It includes a space to reflect on their thinking while reading (making connections, asking questions) as well as a spot to write a short summary of what they have read that day. Easy to pop in a reading binder or folder! Help students stay organized and on top of their reading thinking with this resource!